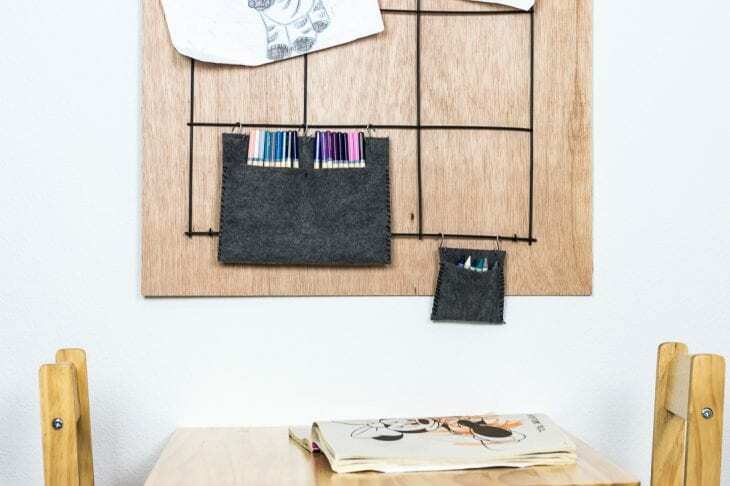 Make art supply organization for your little artist using felt and embroidery floss. 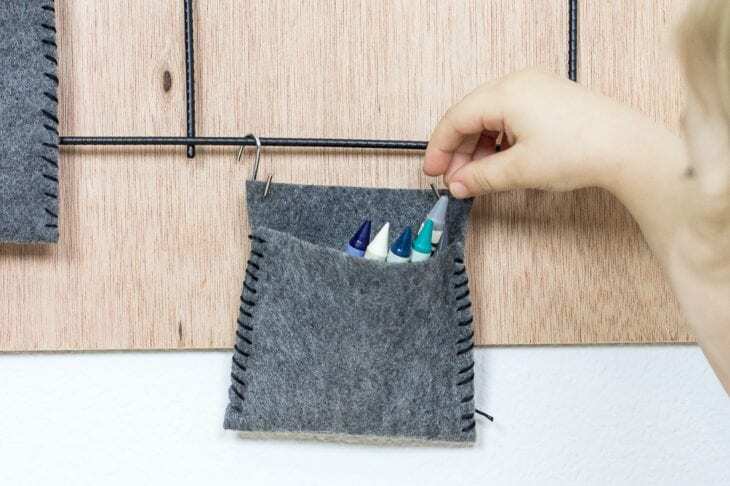 This is perfect for kids and organizing small spaces in your home. 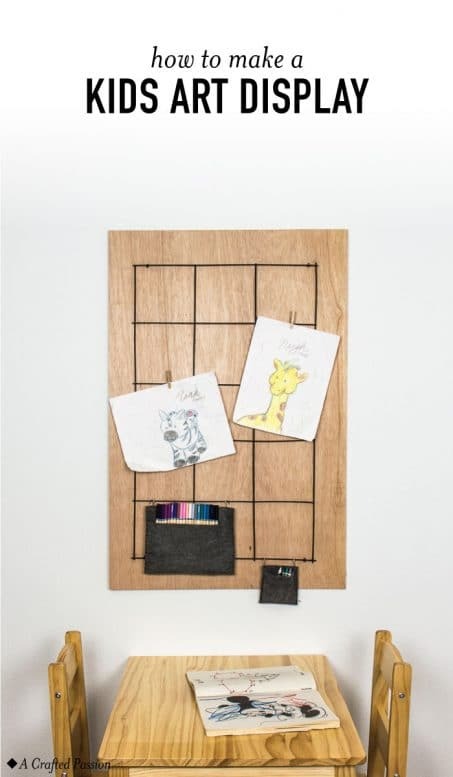 When I made the new art display for the art corner in our living room, I knew I’d need to figure out a way to incorporate colored pencil and crayon storage. Before, we just had all the pencils tossed in a large mason jar so every time Clara wanted a new color she’d dump the whole jar. Super convenient, y’know? I was planning on turning my husband’s old office into a playroom, so I had been holding off on figuring out art storage, but enough is enough. The office is too far away from the main part of our house, so I had to move to plan B. And honestly? I think I love it more than plan A! 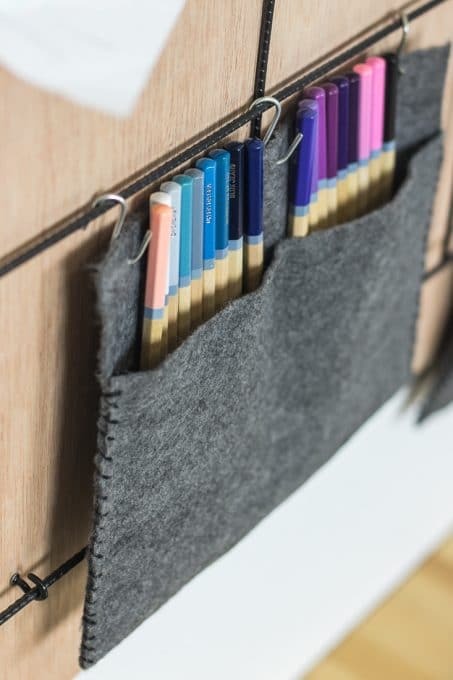 This art supply organization is super simple, but looks great! Plus, it’s easy for Clara to maintain! That’s always a major bonus!! Cut your felt to size depending on what you’ll be putting in the pouch. For colored pencils, you want about 6″ for the front part and 7″ for the back. Depending on the size of felt you get, you just need to fold the felt in and then trim any excess. It’s nice to have the backside a little higher than the front to hold in the pencils better. Cut an 8″ piece of embroidery floss. Tie a knot on one end and then thread your needle. Starting at the bottom, stitch up your sides. Just make sure and start on the back so the knot isn’t seen from the front. 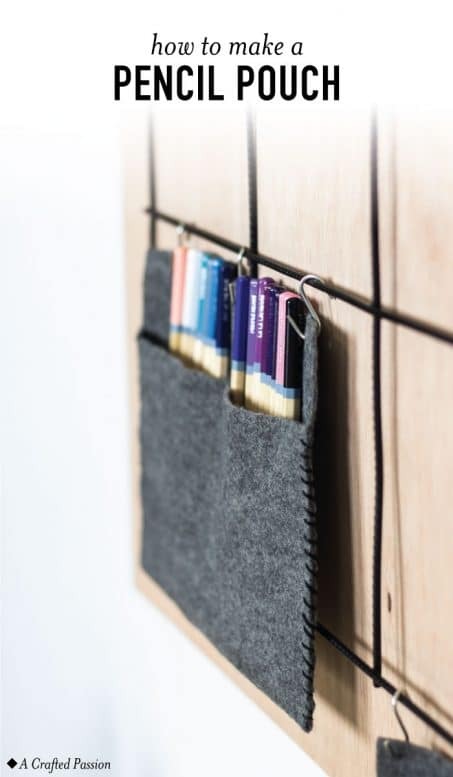 Don’t worry about leaving space in your pocket for art utensils since the felt has a bit of stretch. 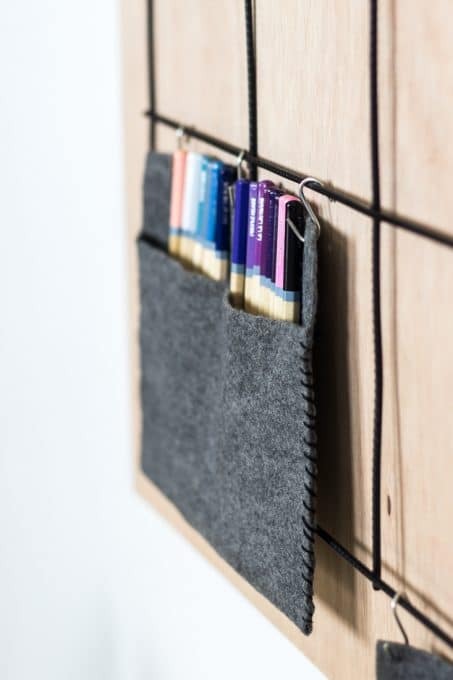 For large pouches, add a stitch right in the middle to hold the felt together a little better. 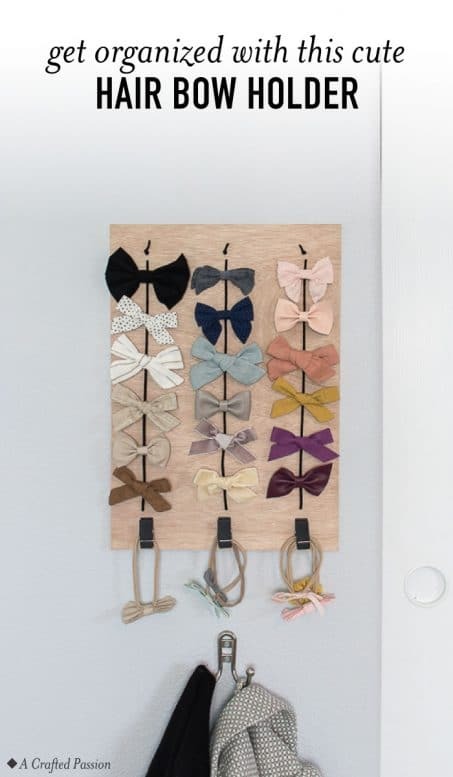 Once you have both sides stitched and knotted, poke a hole in the top of your felt on the back piece for your s hooks and then hang that puppy up. I love how it turned out and can be moved around on our new kids art display depending on what art is being clipped up at the time.